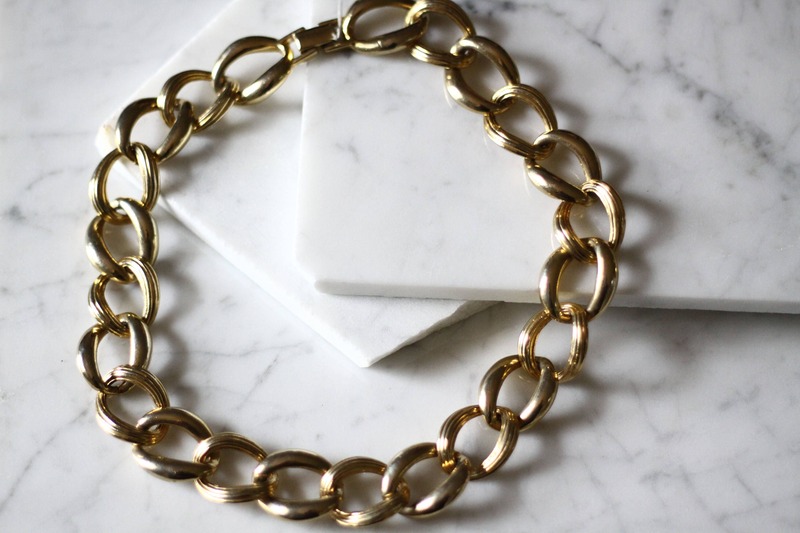 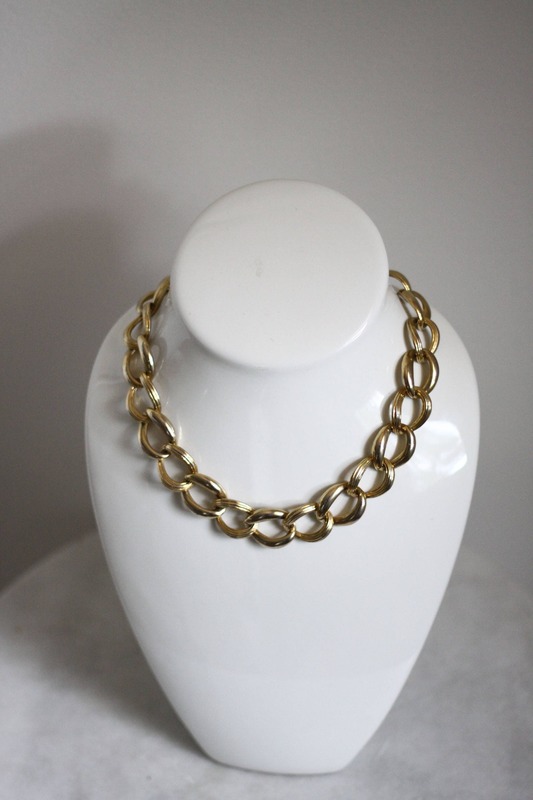 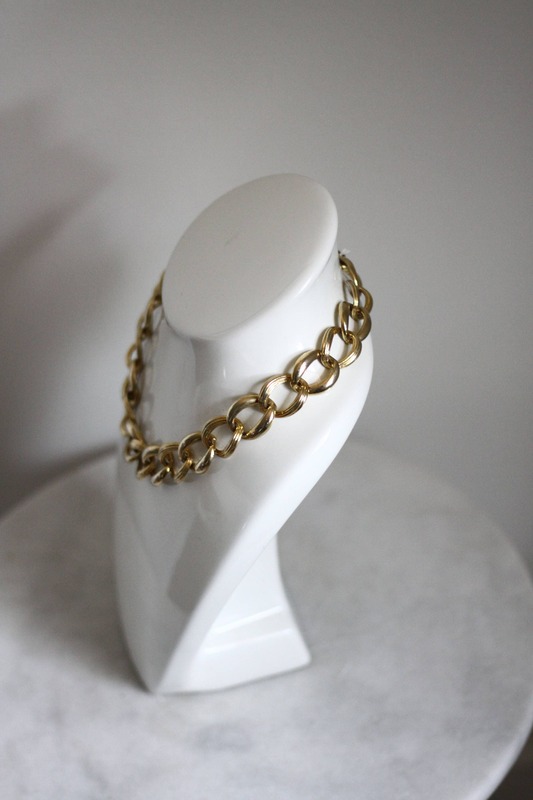 1980s gold chain necklace. 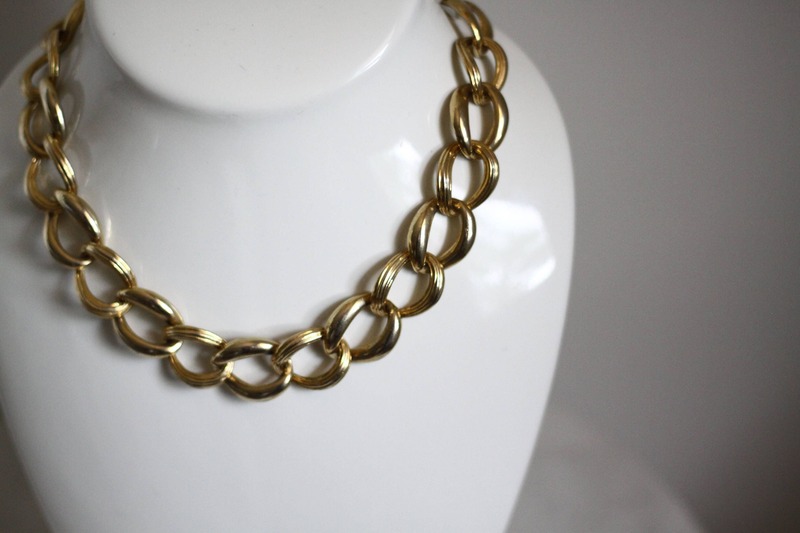 Large and somewhat heavy square chain links with etched design wrapping around each link. 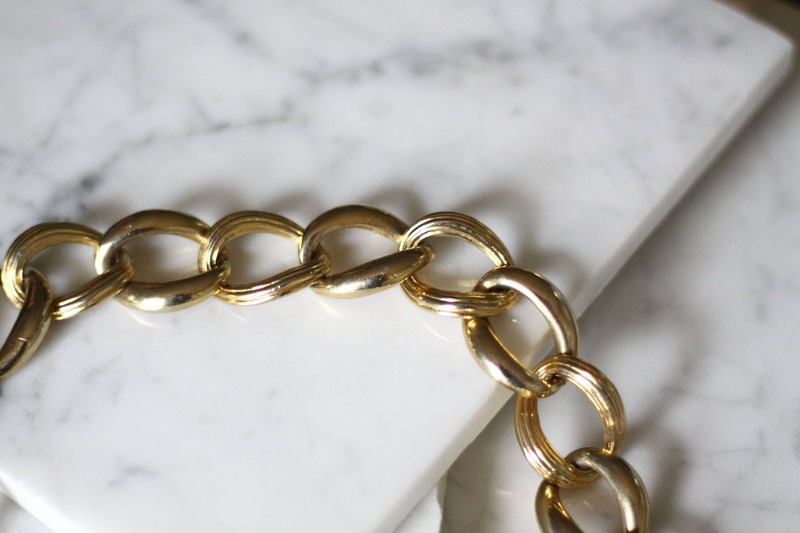 Box clasp for closure. 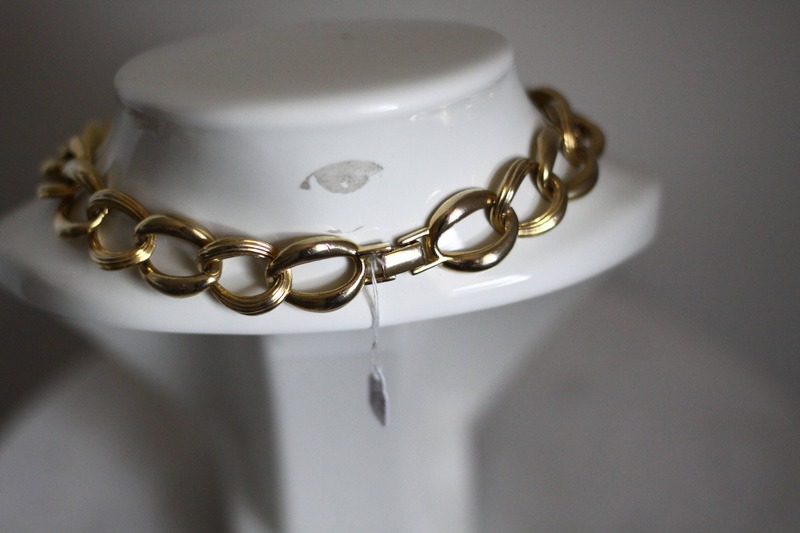 Link Size - 0.5" x 0.5"